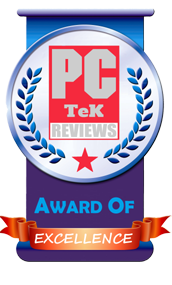 14 Nov, 2017 Rakesh Sharma Reviews . 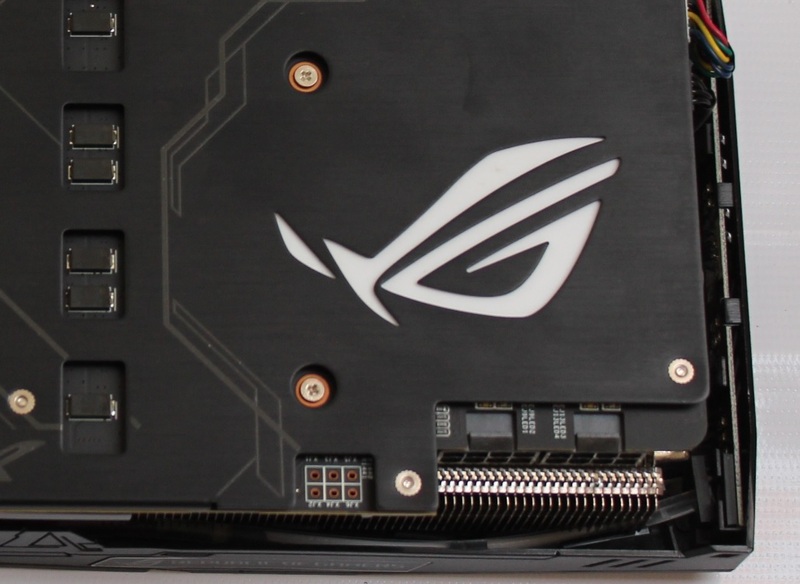 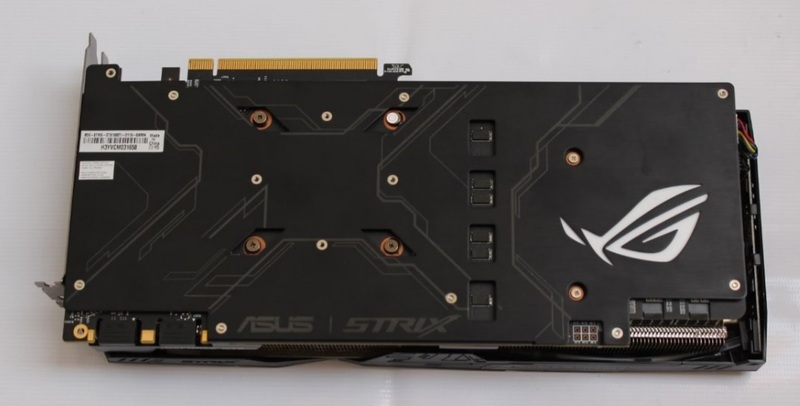 Today we are reviewing ASUS ROG STRIX GTX 1080Ti OC Gaming card with 11GB of GDDR5X. 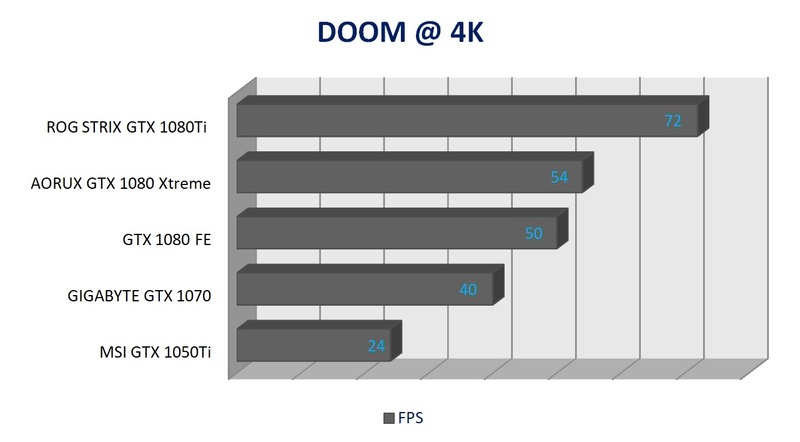 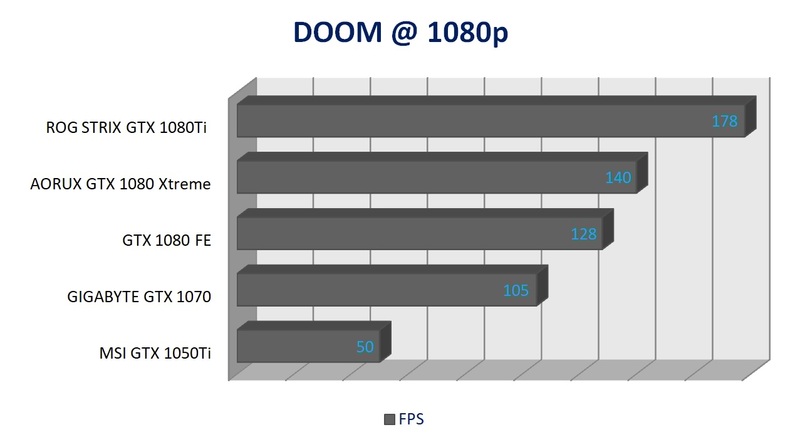 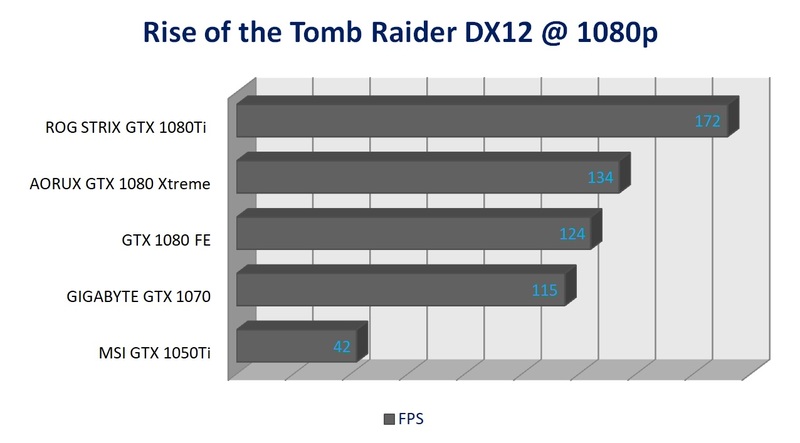 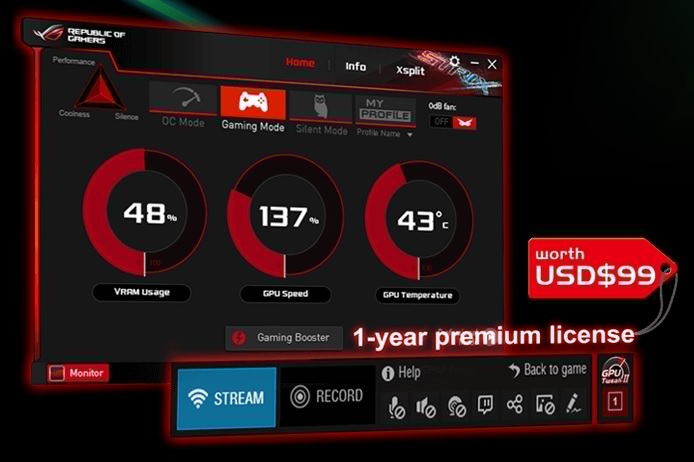 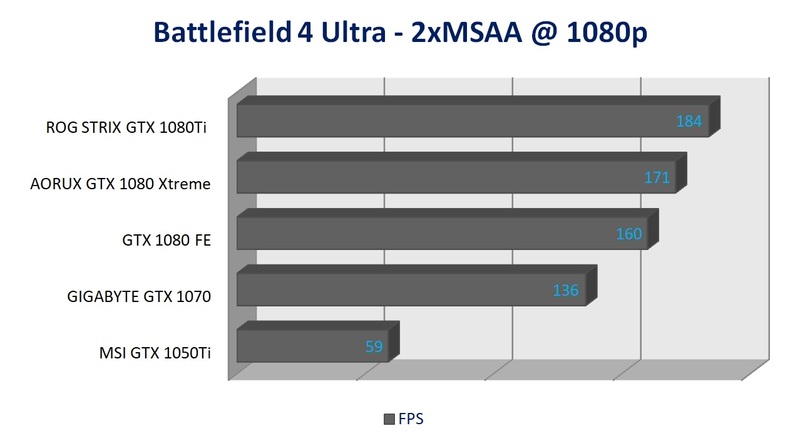 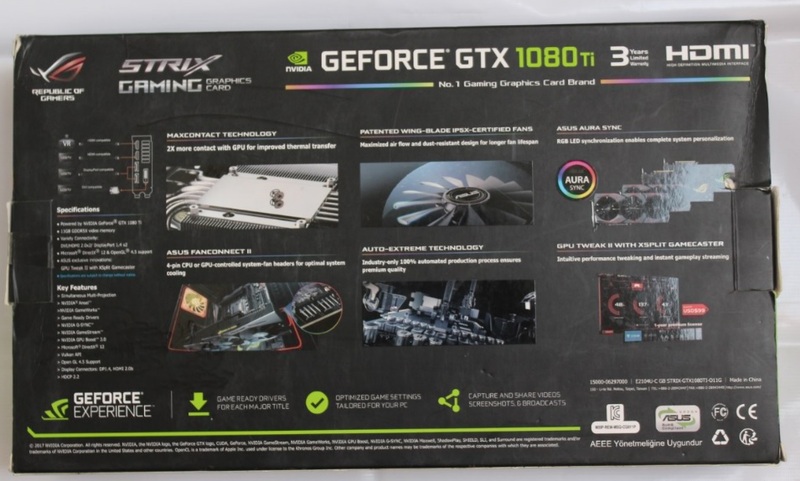 Right now this is the best graphics card one can get when it comes to pure gaming performance. 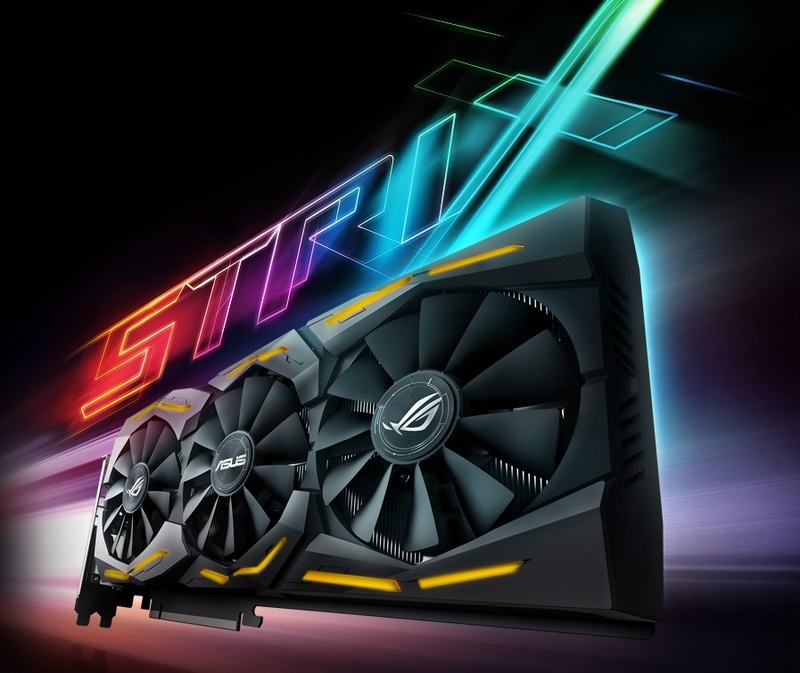 The ASUS ROG Strix releases are always highly anticipated by gamers as these aftermarket cards are well known for some of the best GPU clock rates with whisper quiet and coolest operations using enhanced aftermarket cooling solutions and featuring some of the best RGB lighting on the market. 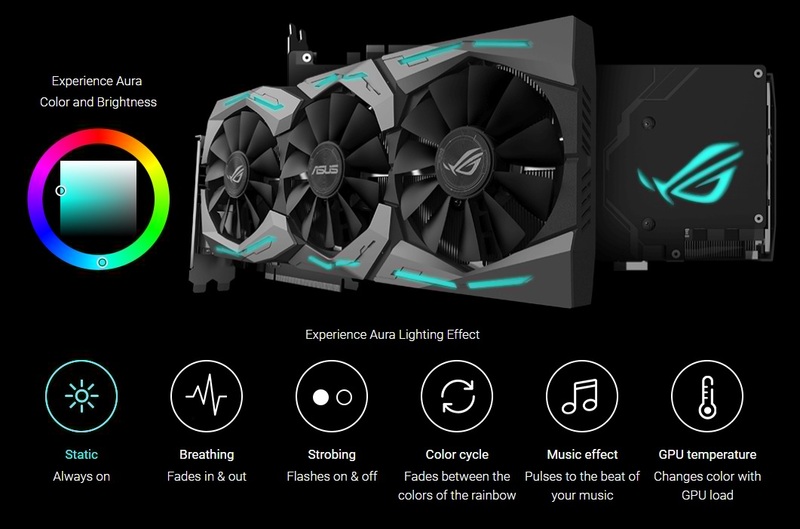 ASUS ROG STRIX GTX 1080Ti OC Gaming card is also packed with all-new MaxContact Technology that provides 2X more contact area with GPU silicon for improved thermal transfer, and Patented Wing-Blade IP5X-Certified Fans for maximum airflow and longer fan lifespan. 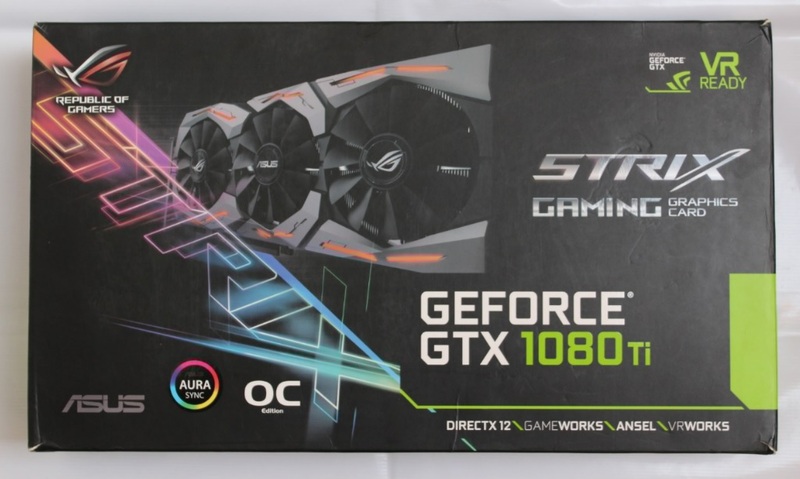 Now let’s see can ASUS ROG STRIX GTX 1080Ti card deliver us with the premium GTX 1080Ti experience. 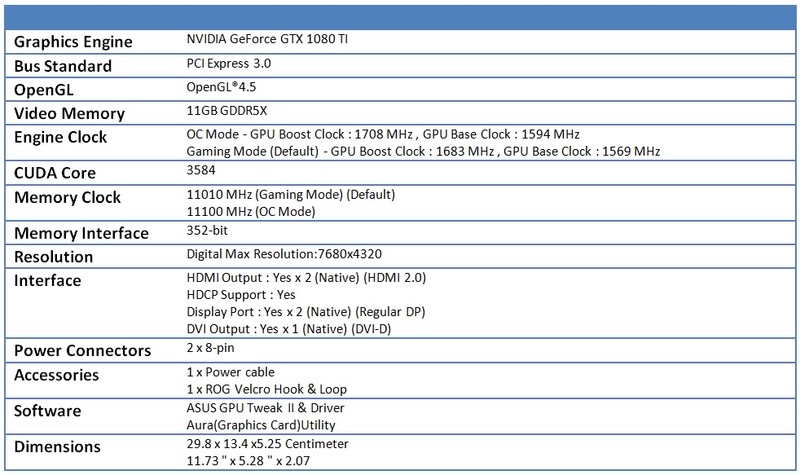 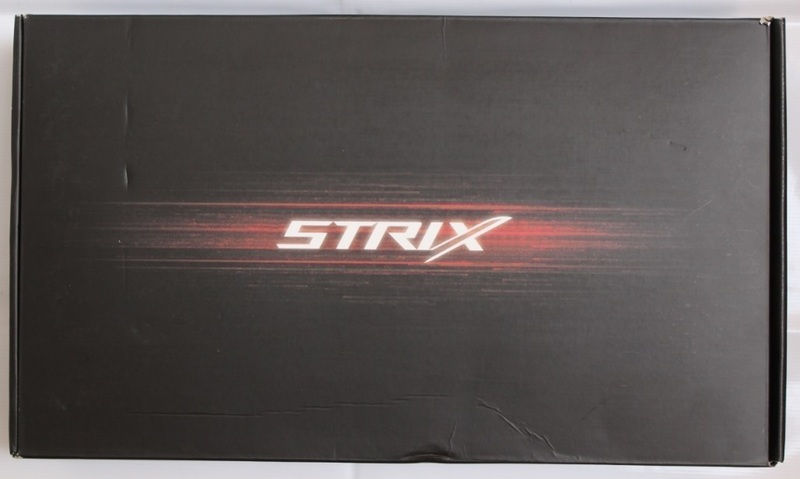 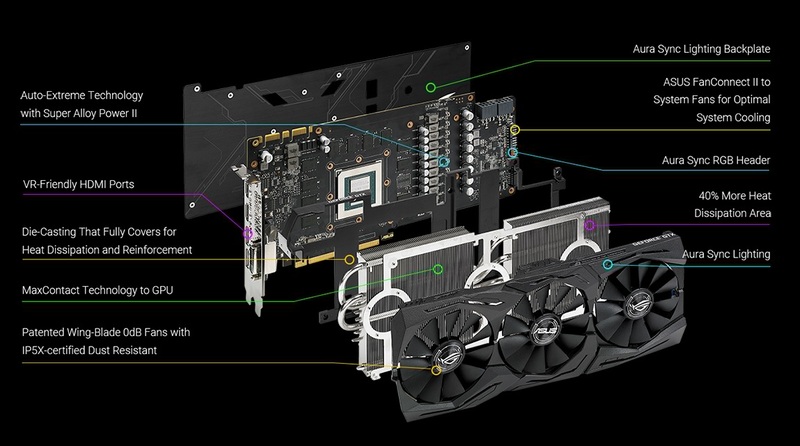 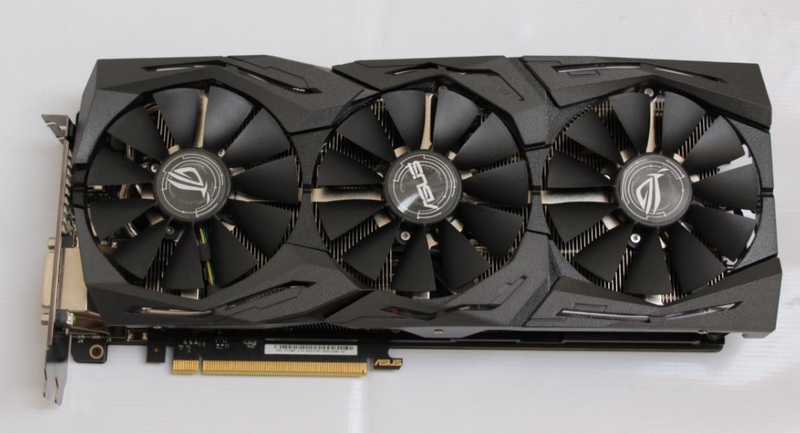 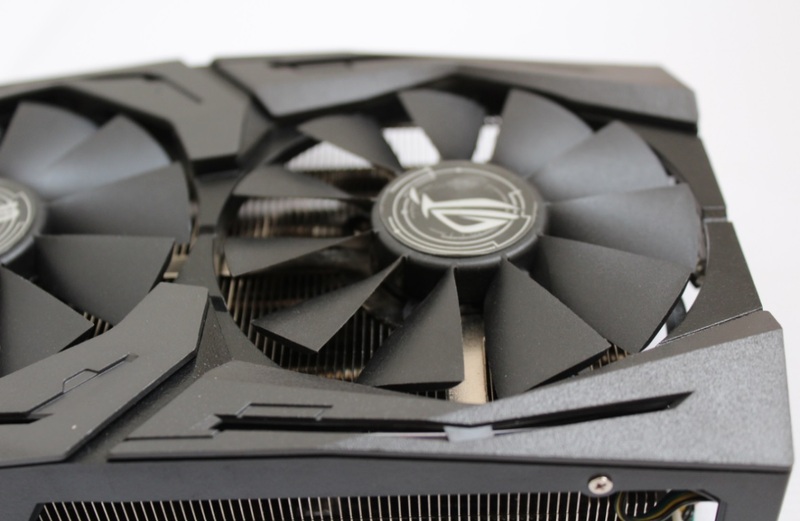 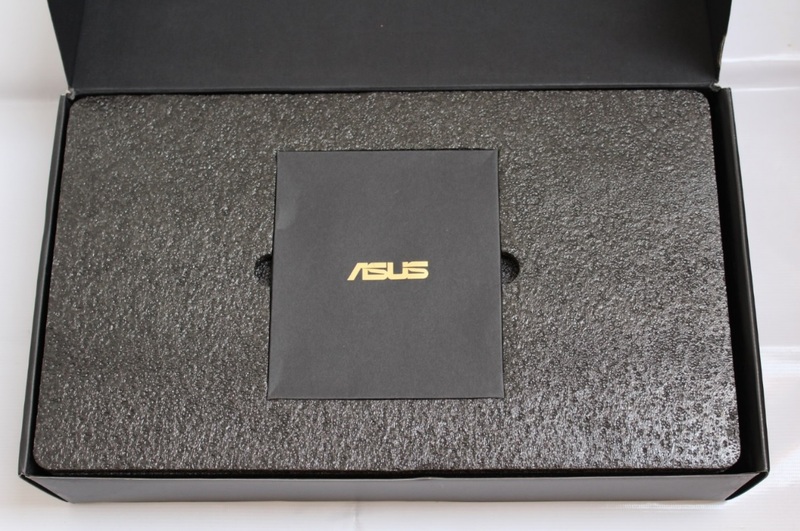 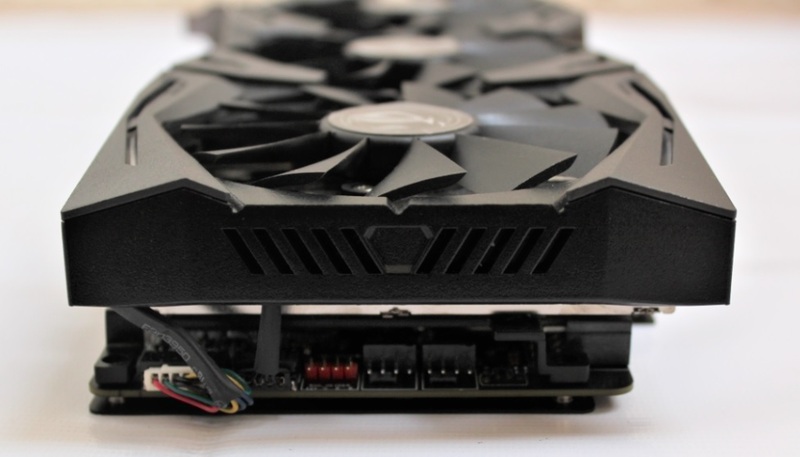 The STRIX GTX 1080Ti comes in a box securely packaged with actual product picture, STRIX graphics and features highlights on front and the back of the box. 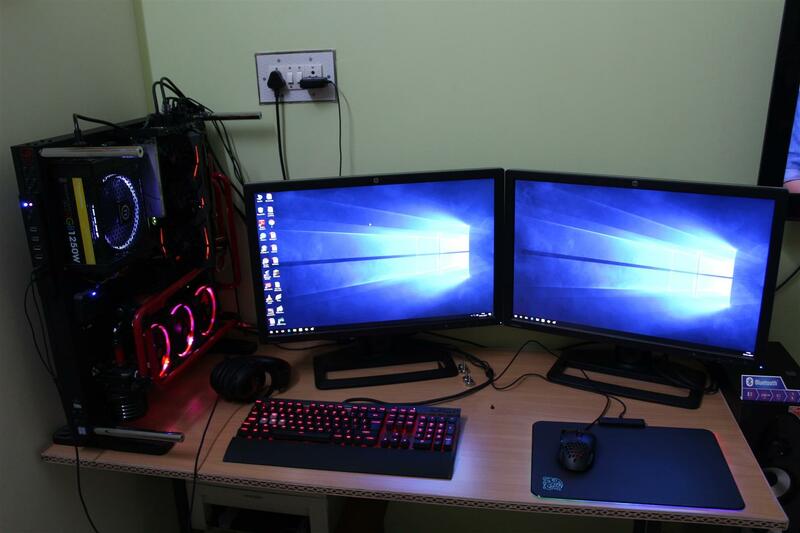 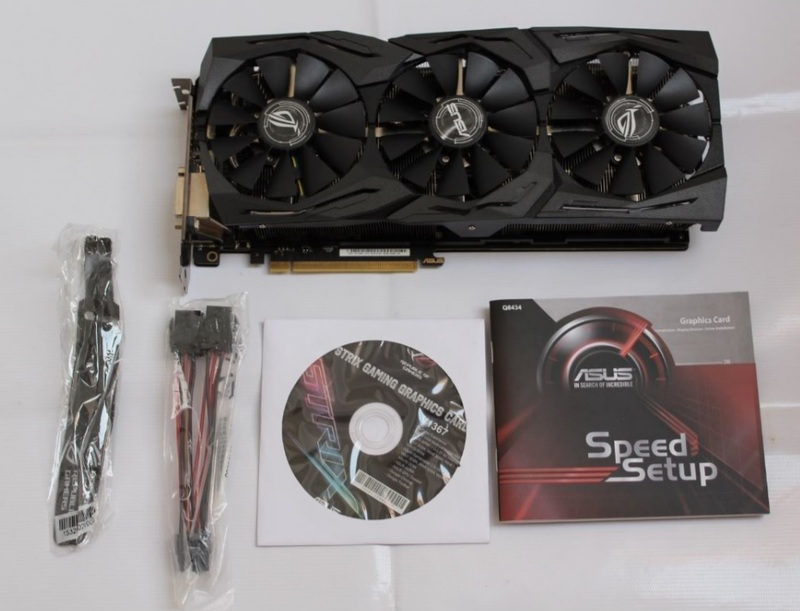 Along with the GFX card box also includes Software installation CD, quick start guide, one PCI-e power cable and two ROG Velcro cable tie straps. 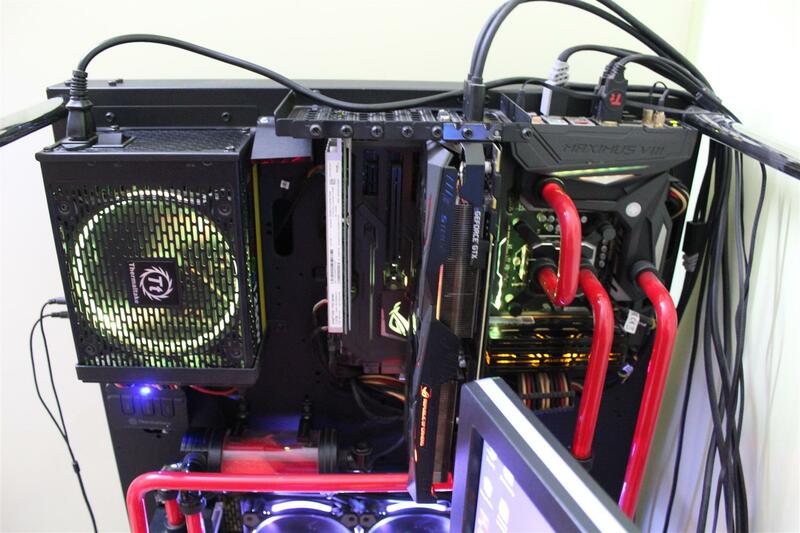 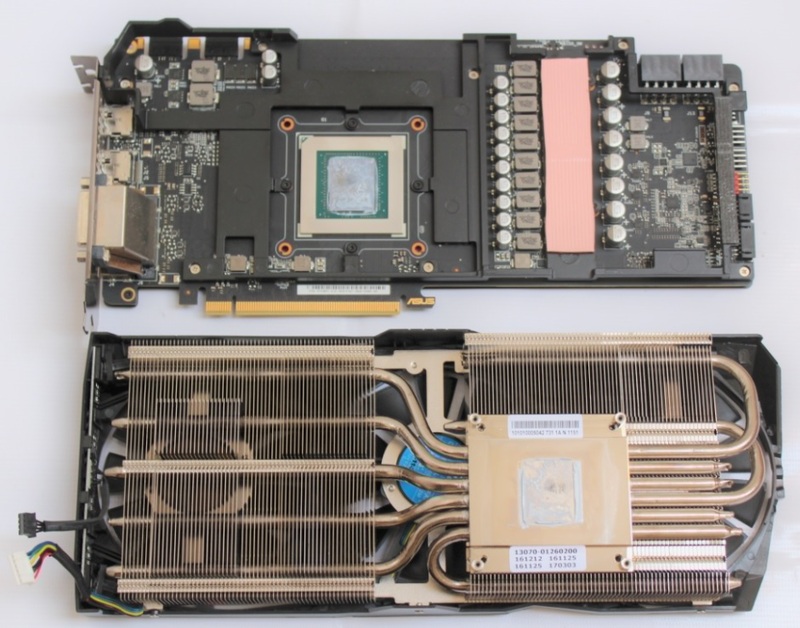 Due to the thick cooling solution card is a 2.5 slot design and you will need 3 standard slots available to accommodate the card inside your PC. 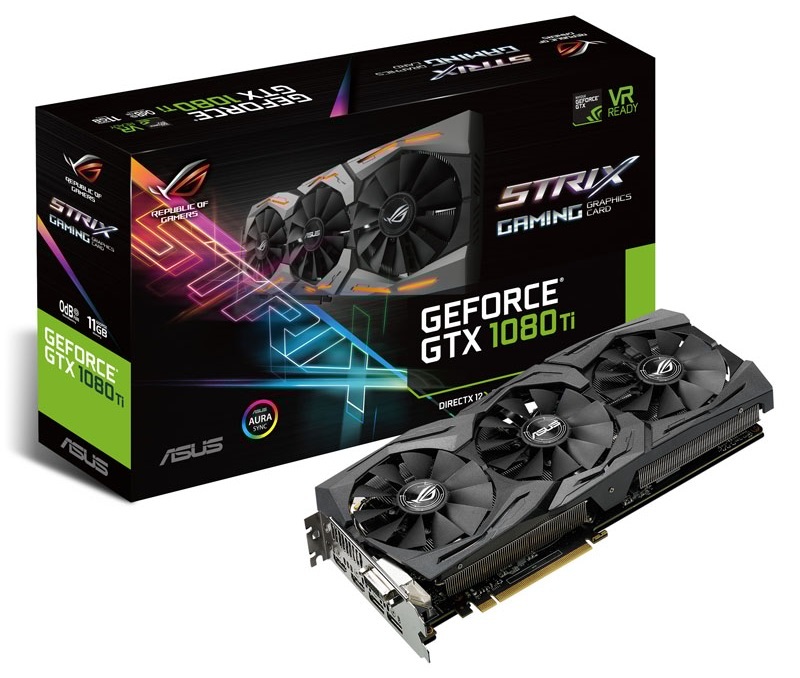 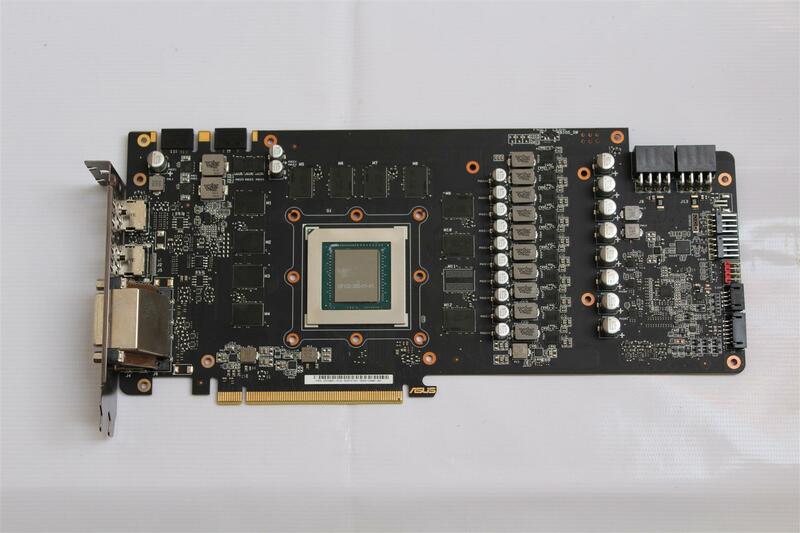 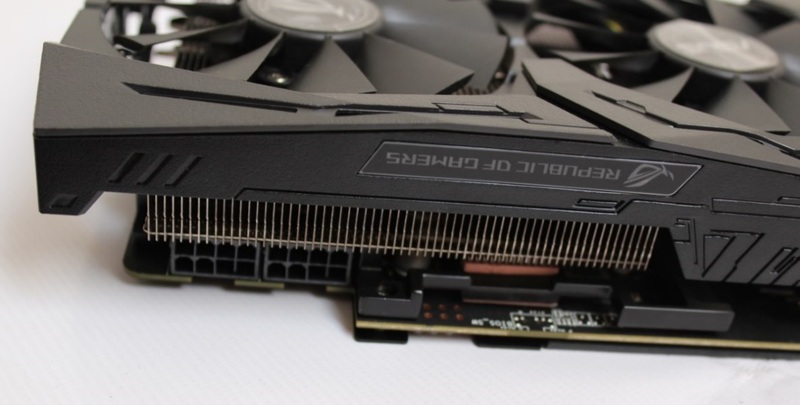 Unlike the GTX 1080 Ti ‘founders edition’ which features 1 X 6-pin and 1 X 8-pin PCI-E power connectors, this Strix card features 2 X 8-pin PCI-E power connectors, which along with the PCI-E lane’s power provides this card with a total of 375w of power. 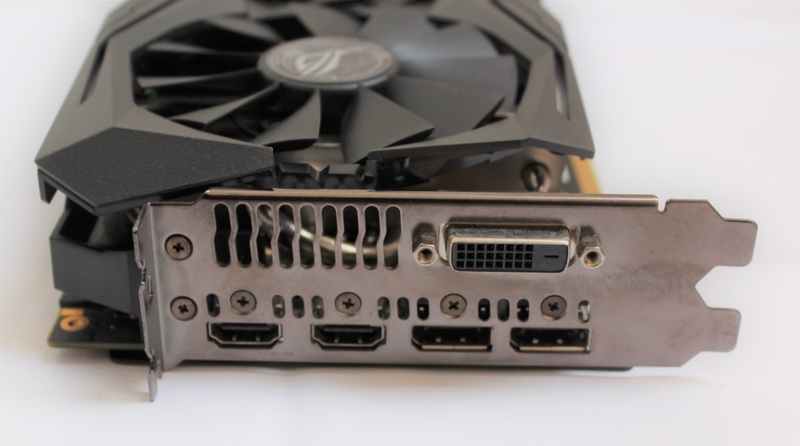 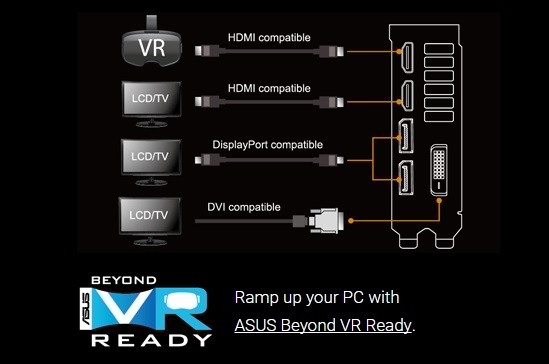 At the rear of the card we have lot of connectivity options consisting of 2 X DisplayPort 1.4 connections, 2 X HDMI 2.0 ports and a DVI-D connector. 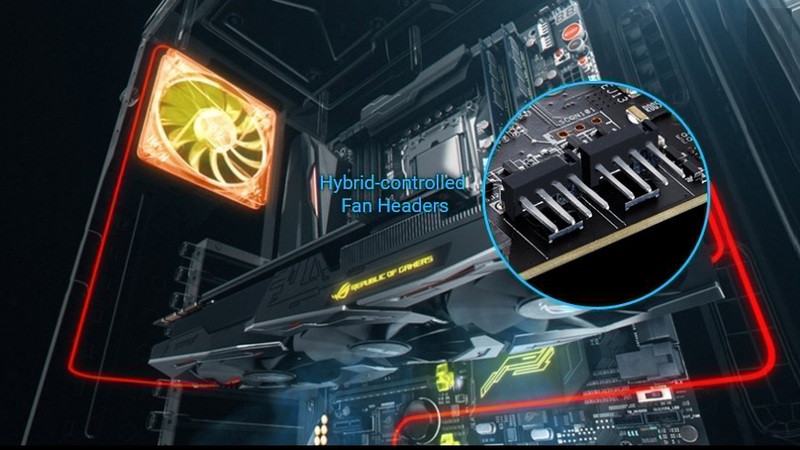 On the case inside end of the card we can see the new Asus Fanconnect II headers – a unique feature allowing you to connect two 4-pin CPU / GPU PWM-controlled fans. 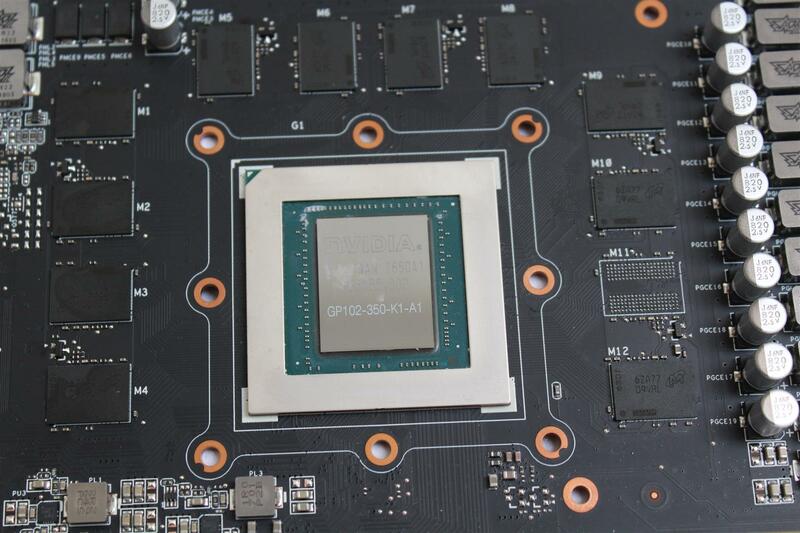 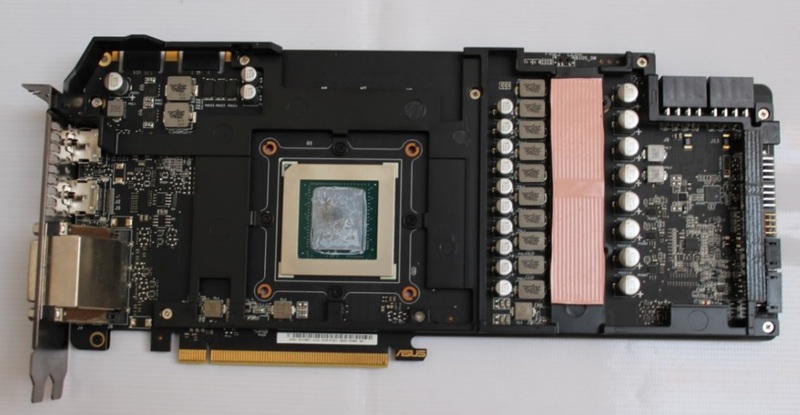 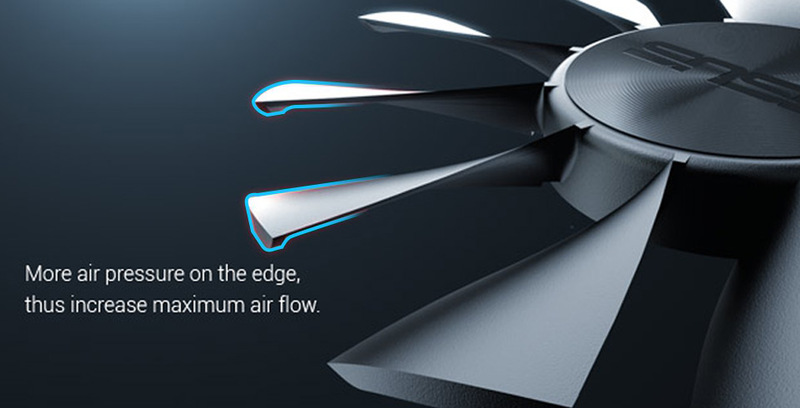 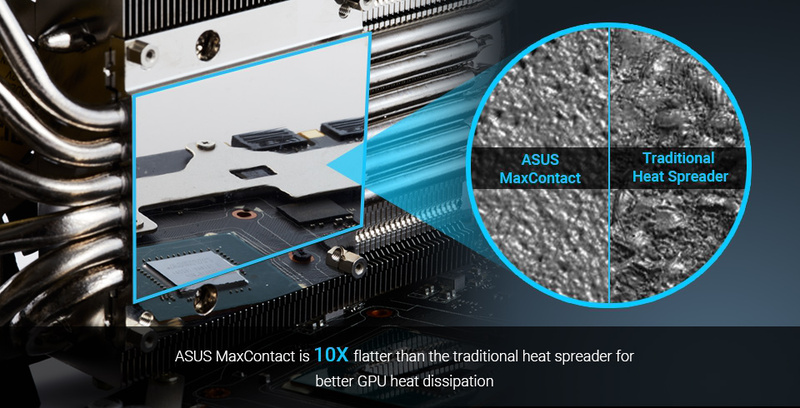 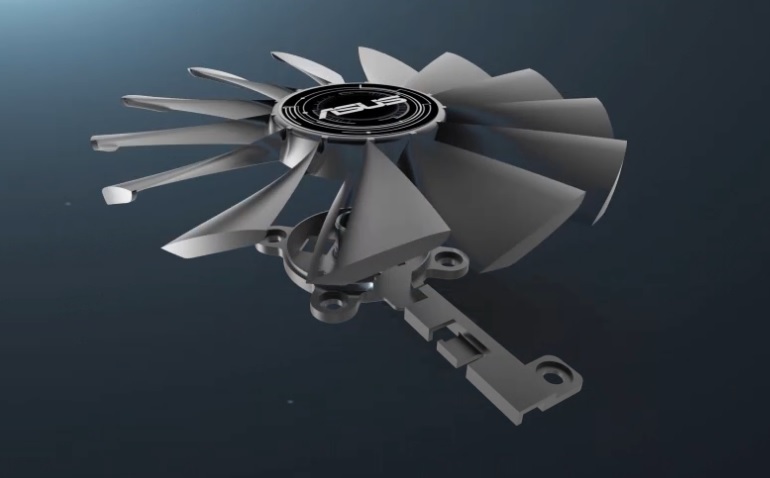 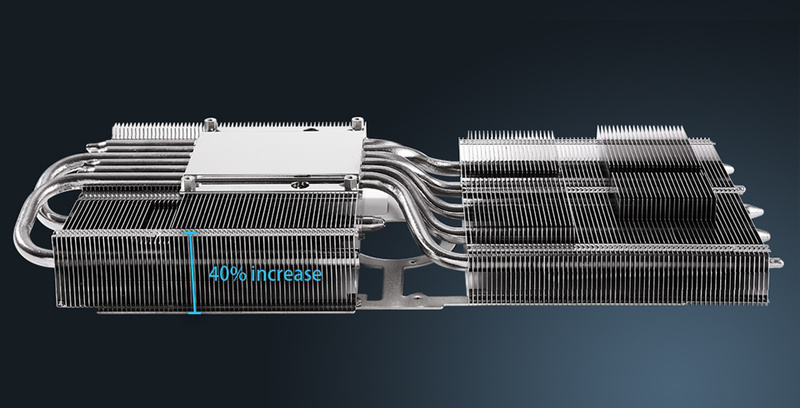 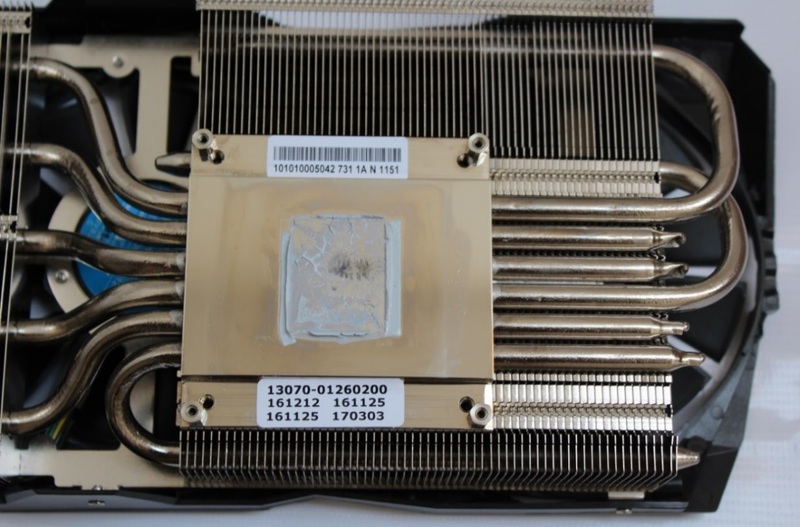 Removing the heatsink reveals all nickel plated cooling solution with seven copper pipe fused onto a big copper base which is finely milled to give the GPU silicon perfect flat contact with the heatsink. 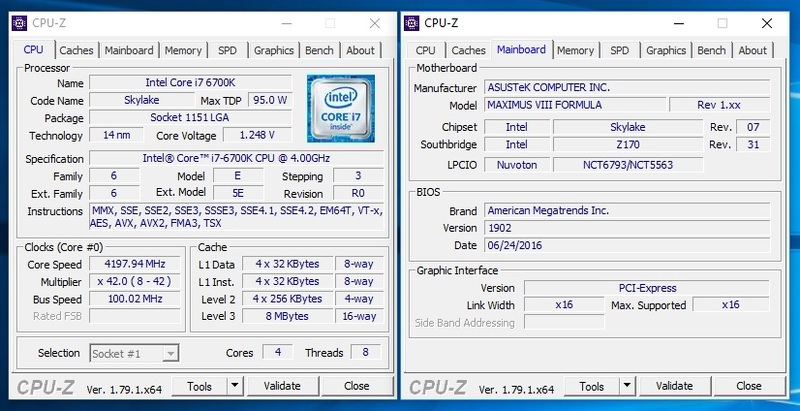 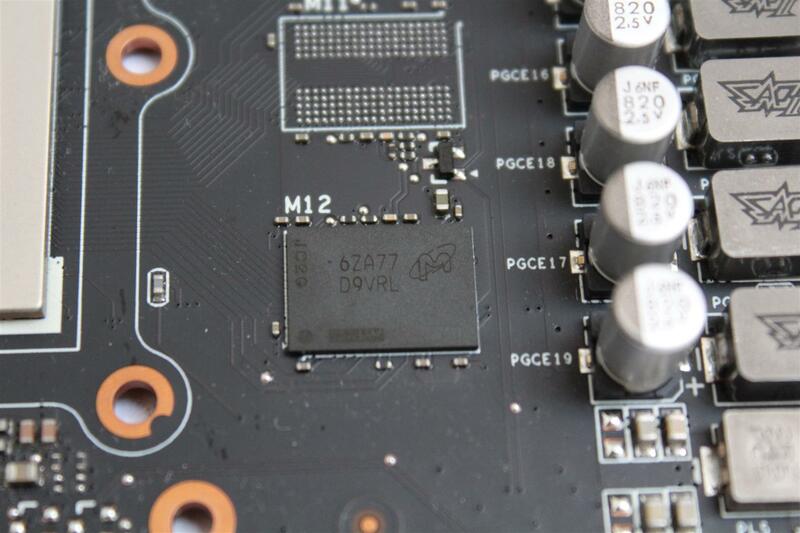 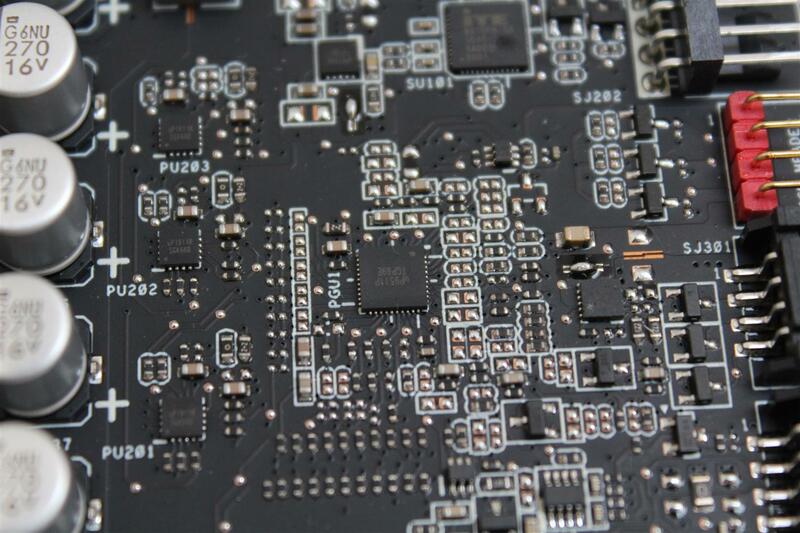 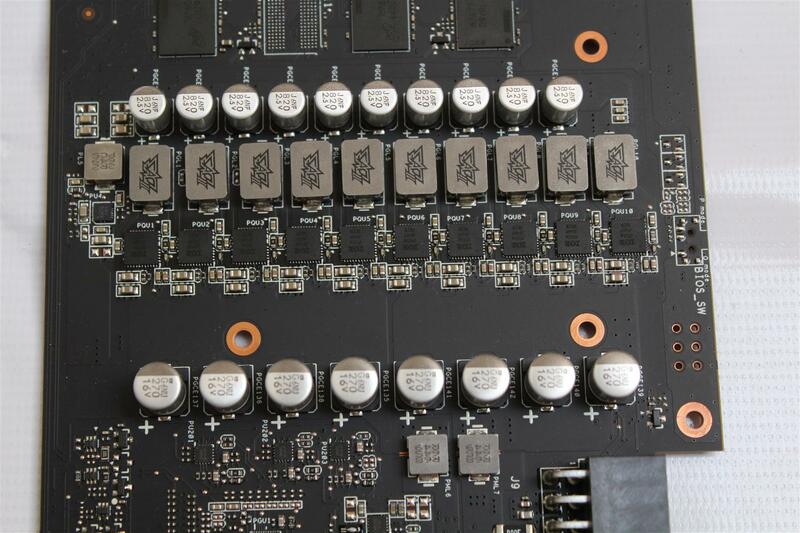 Whole PCB is given rigidity with strong aluminum frame also acting as cooler for the memory chips. 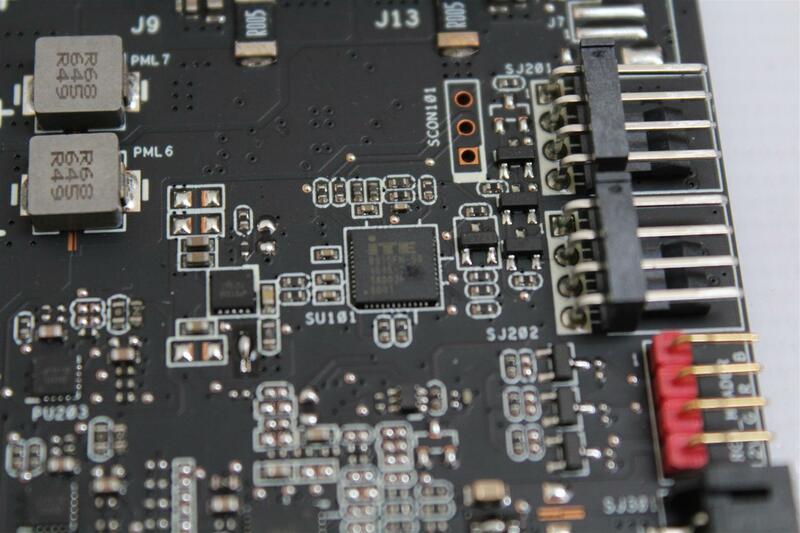 Nicly layout PCB with 10+2 Phase designed power section using International Rectifier’s IR 3555M a integrated PowIRstage® contains a synchronous buck gate driver IC which is co-packed with control and synchronous MOSFETs and a Schottky diode to further improve efficiency and each phase has output current capability of 60A. 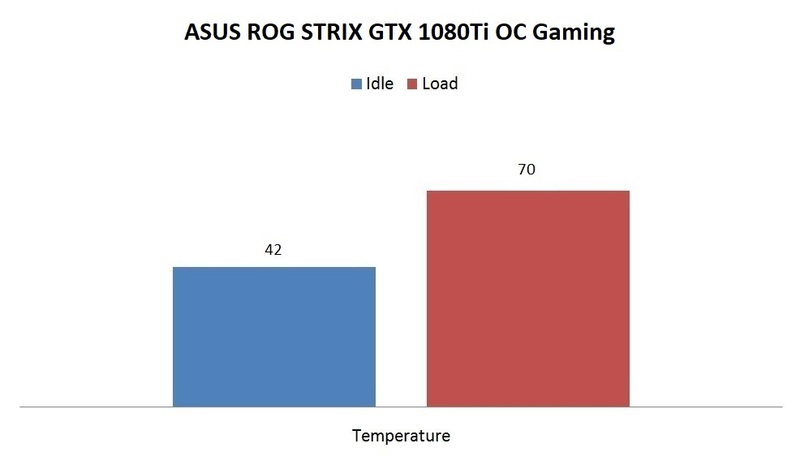 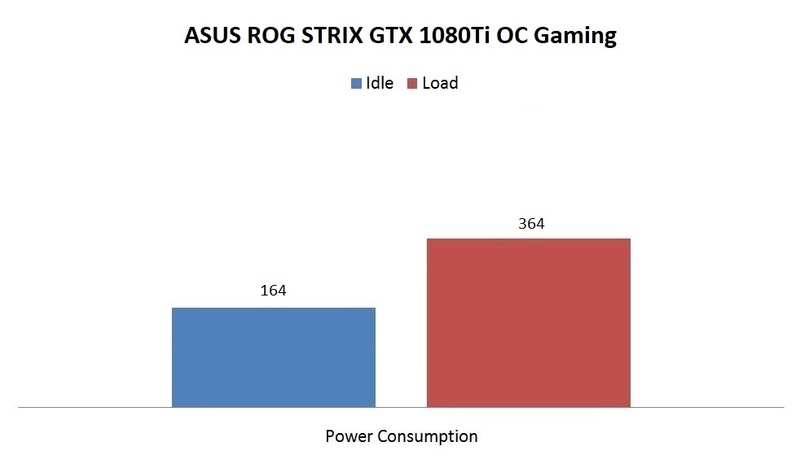 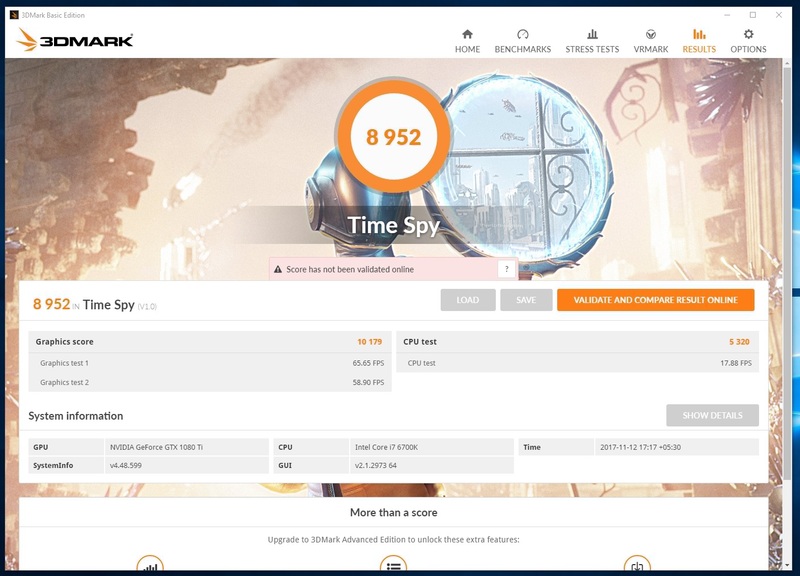 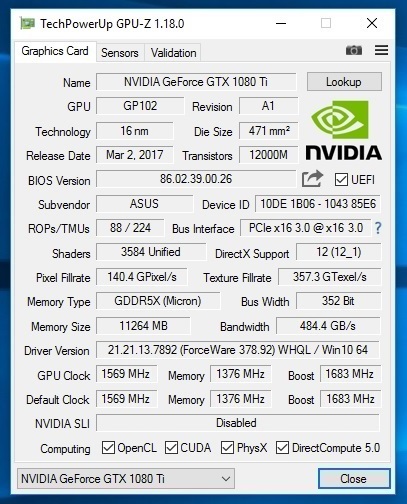 In conclusion I would like to say that the ASUS ROG STRIX GeForce GTX 1080Ti OC Gaming graphics card is the fastest air cooled graphics card out there. 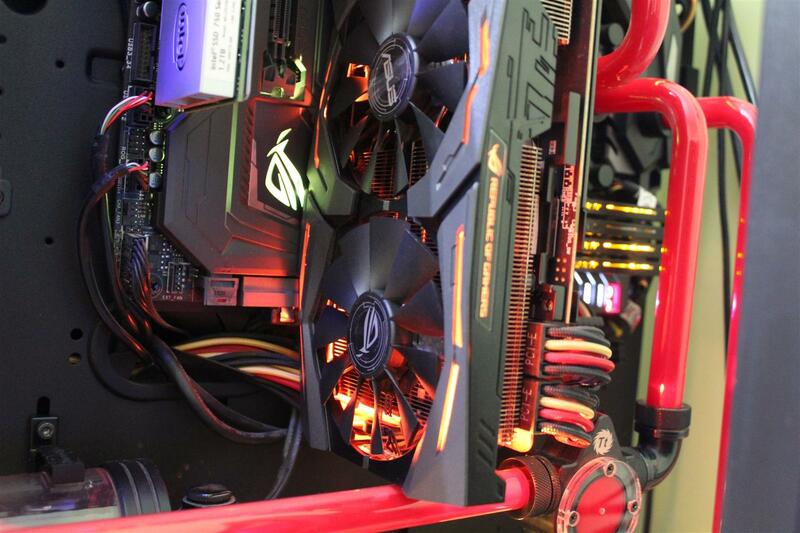 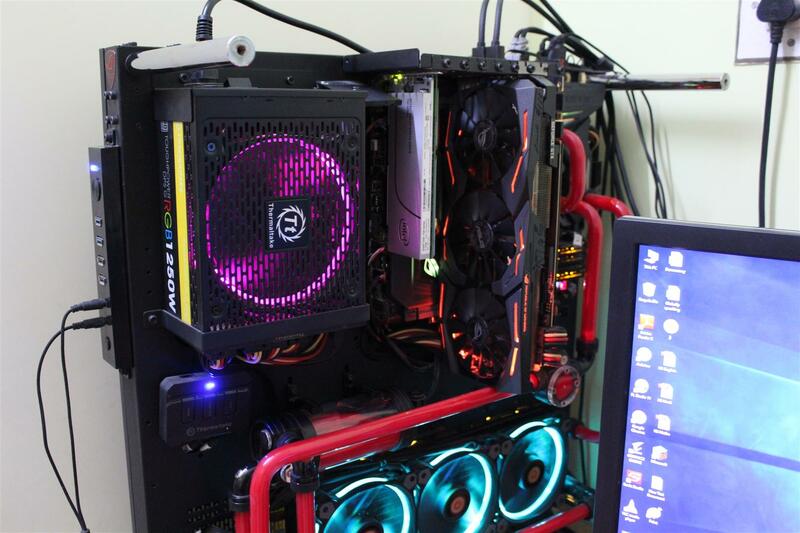 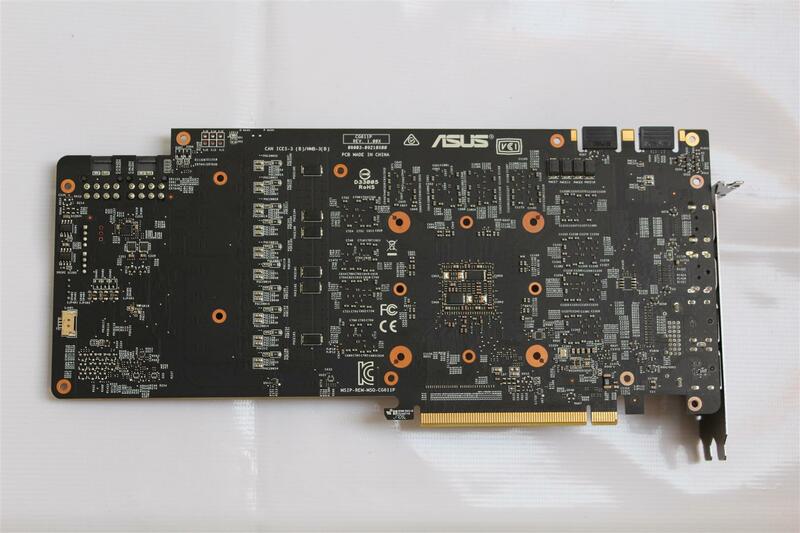 With ASUS custom cooling solutions and features provided with this card makes this card a truly outstanding graphics card and make it worthy of our PC TeK Reviews EXCELLENCE Award.